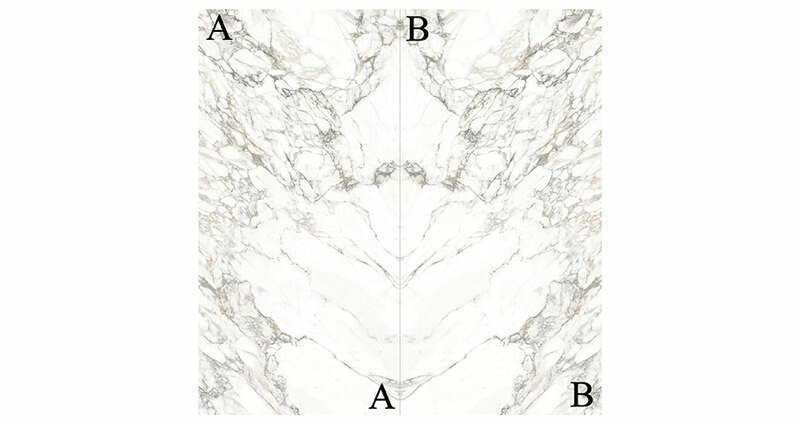 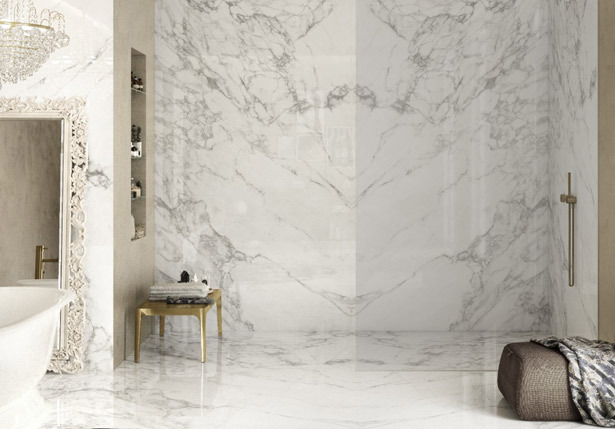 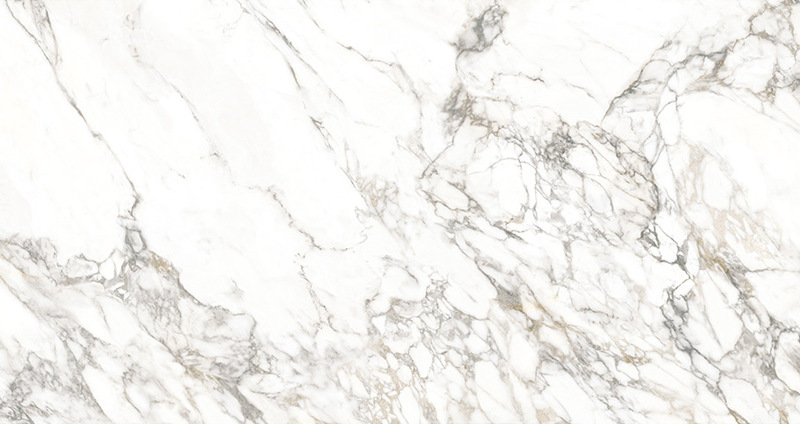 Create show-stopping installations with our Arabascato Viso Book matched porcelain slabs from our Stile Collection. 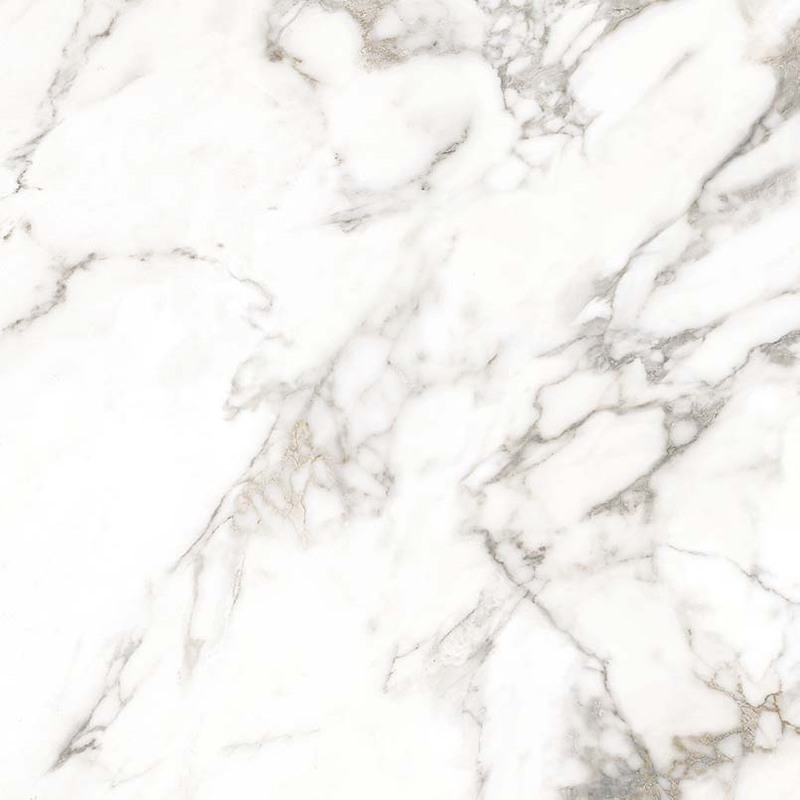 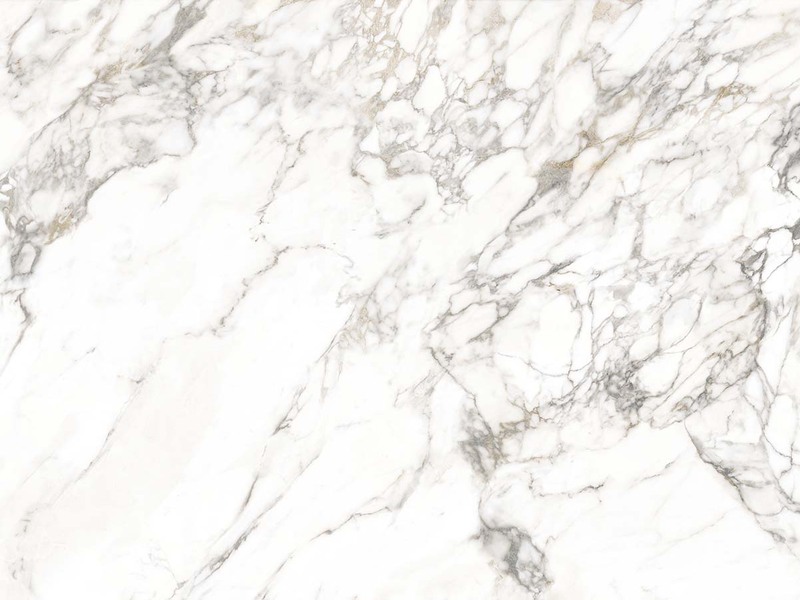 The soft creamy white background and distinctive gray veins have the look of fine natural marble and the 63x126 dimensions allow for sweeping installations on floors, walls and fireplaces where the mirrored pattern can be appreciated. 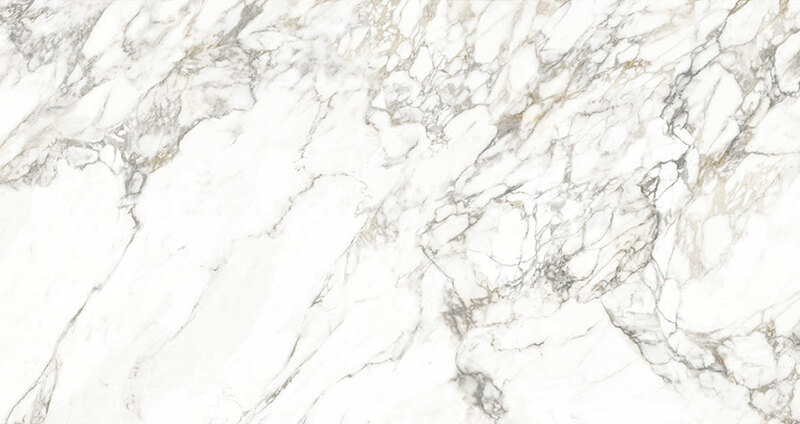 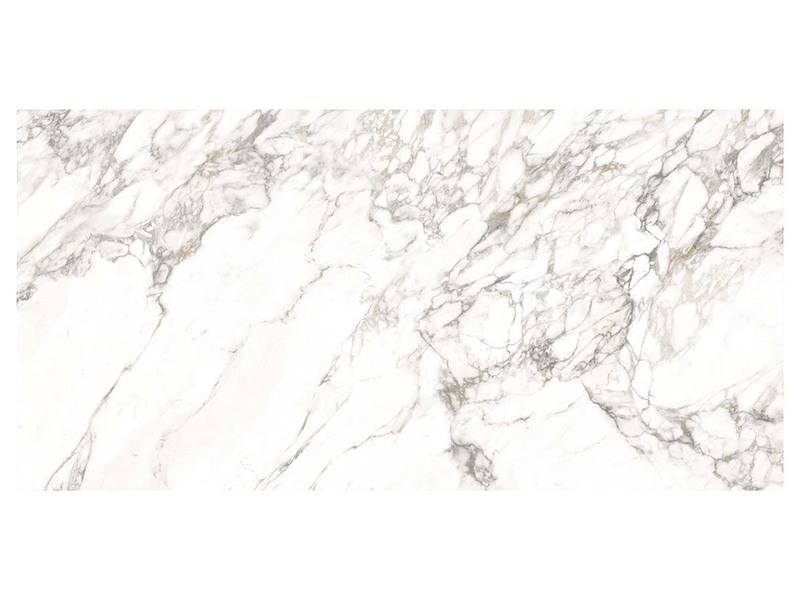 These beautiful porcelain slabs are suitable too for use on countertops and floors, and are the perfect choice for creating a stunning waterfall island in the kitchen.